As a business man or woman, you know that «time is money». If you want to move from A to B as soon as possible, you will take the plane. Not the train. The plane will spend about an hour, while the train will spend about six hours on the same route. But what if you can move 800 miles per hour (1,300 km/h)? An American company called Hyperloop Transportation Technologies (HTT) want to do something with that. They has developed a transportation system based on the Hyperloop concept, which was envisioned by Elon Musk in 2013. The consept of the Hyperloop was popularized by Elon Musk, not affiliated with HTT. The concept was to develop a high-speed, intercity transporter using a low pressure tube train which would reach a top speed of 800 miles per hour, or 1,300 km/h with a yearly capacity of 15 million passengers. That`s fast eh? Not only that. HTT is also planning to develop a slower privatized urban Hyperloop for inter-suburb travel. The hyperloop is built for both cargo and people. Blade Runner is the one and only known test rig of its kind. It was designed, fabricated and built by the Hyperloop team with the purpose of testing scaled axial compressor blades and aerodynamic structures in environments down to 1/1000 of atmospheric pressure. Powered by two 2,000 CFM Vacuum pumps, this unique design allows the Hyperloop team to conduct long duration tests while simultaneously adjusting flow variables. The innovative, variable throat geometry allows testing in speeds ranging from subsonic thru supersonic regimes. The Hyperloop Levitation Rig is another unique test stand designed, fabricated and built by the Hyperloop team. This test stand is housed in an 18 cubic meter environmental chamber that is capable of achieving pressures down to 1/1000 of atmospheric. The rotor achieves surface speeds in excess of 300 m/s. These speeds are necessary to simulate Hyperloop’s cutting edge levitation systems that will be adapted for use on the Hyperpod. The Big Tube is Hyperloop Tech’s largest piece of hardware. This carbon steel vessel weighs approximately 70,000 lbs, is 50 feet long, and 12 feet in diameter. The Big Tube is used to validate tube design, orifice design, vacuum pass through design, weld design, manufacturing automation, and many more amazing projects. The driving motivation for the Big Tube is to serve as a central test vessel for all future hardware development. 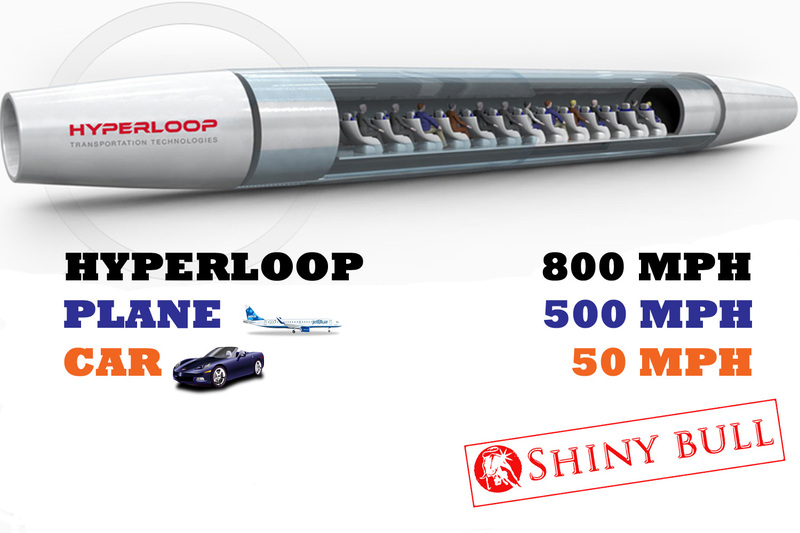 As Hyperloop Tech grows, The Big Tube will only get larger since this is the first step to building the loop. The idea of lightspeed travel to the masses will begin testing in Nevada desert next year. HTT anounced yesterday that they has entered into agreements to locate their Propulsion Open Air Test (POAT) on an approximately 50 acre site it has secured in the Mountain View Industrial Park in the City of North Las Vegas, Nevada. Wow! «This decision represents another major milstone in our journey to bring Hyperloop to commercial reality,» said former Cisco president, CEO Rob Lloyd. Hyperloop is a transportation system in which a full-length tube is built between destinations, with a controlled environment inside the tube allowing people to travel at extremely fast speed. This technology will change the way the world views transportation. 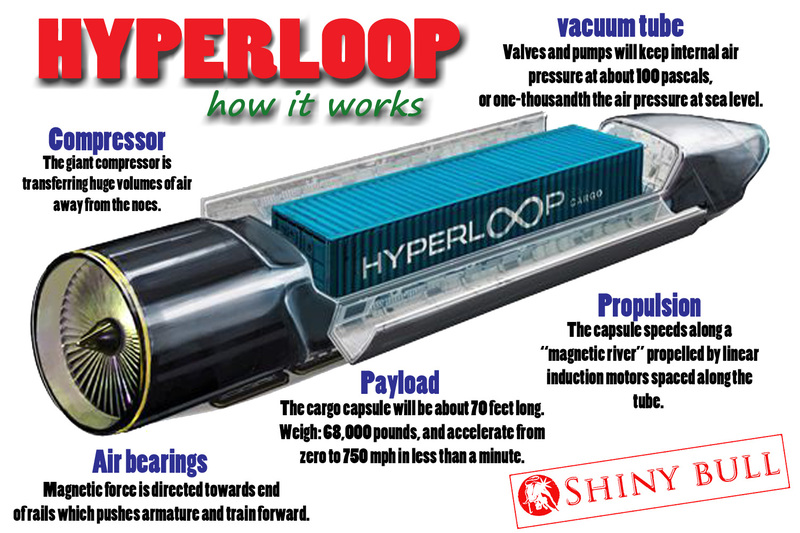 Hyperloop Technologies, Inc, is the world`s next breakthrough in transportation. The kick off for the testing will take place in the first quarter of 2016.